Fred is a 1989 Austin mini racing flame finished in Flame red and alpine white. Fred has been owned by Amelia for 6 years and has undergone a full restoration in that time. He was Amelia's first car and whizzed around the country lanes of Devon as a daily driver for over 3 years before taking a bit of a break for some work. Fred has tried his hand at a few circuits such as Goodwood, Silverstone, Oulten Park, Castle Combe, and the notorious Nurbergring. 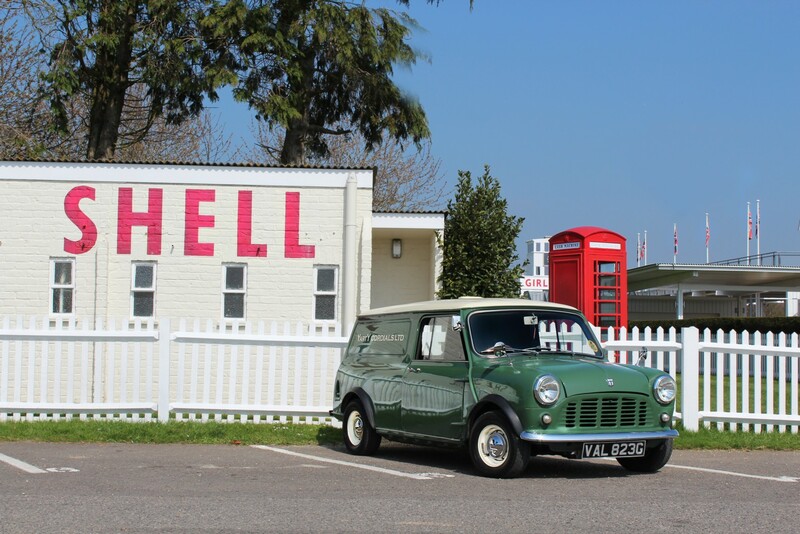 Val is a 1969 Morris mini van finished in almond green with snowberry white roof and wheels. 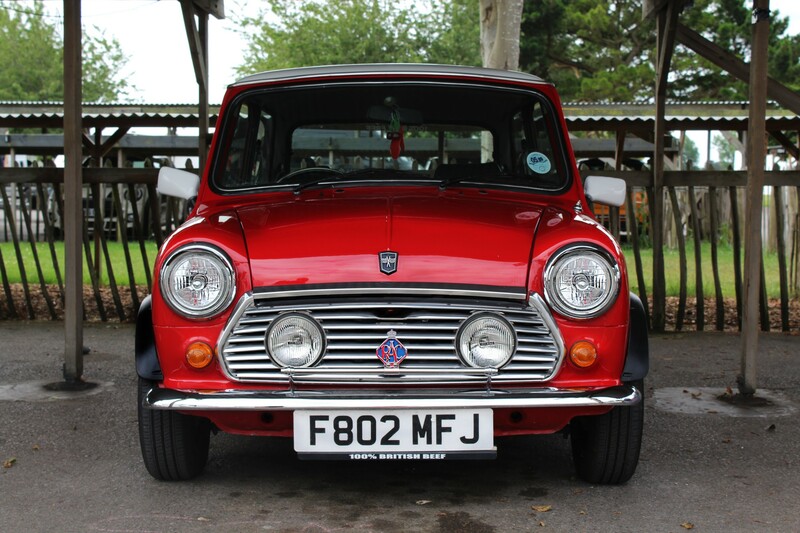 She is a very special mini as she is one of only two ever made with a factory fitted 970cc cooper engine. Val has a custom interior from Newton Commercial including seats, door cards, headlining and load carpeting. Her shoes are cooper reverse rims and were only manufactured for two weeks. Her paintwork and body work are original and still sparkling at 48 years old! Val regularly fund raises for charity and can often been found lurking in the paddocks at Goodwood or whizzing around the track at the hands of her driver, Amelia. Power: 65 hp (48 kW) at 6,500 rpm and 55 lb·ft (75 N·m) at 3,500 rpm.